Celebrating a Birthday? Why not have it at The Phoenix Center? 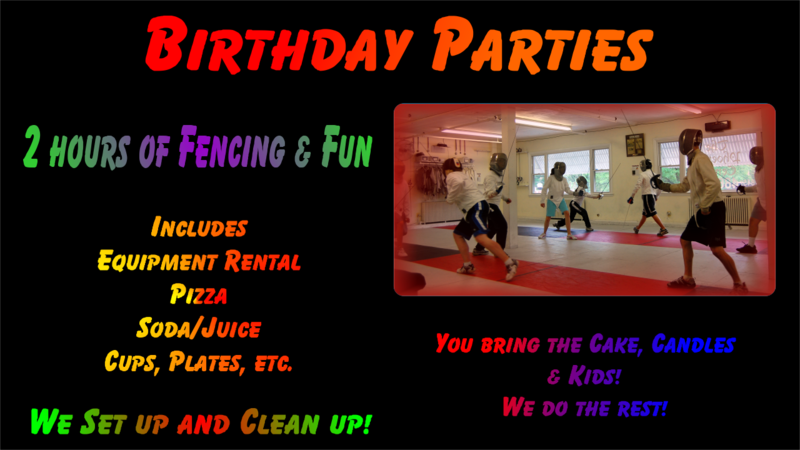 For your Party you can do Fencing, SportSword or a combination of both. A typical party is 2 hours in length, includes instruction, pizza and tons of fun. You just bring the Kids and the Cake and we take care of everything else! Please contact us to book your next Party!